Home | Blog | Why Use Waterhog Plus Mats? Why Use Waterhog Plus Mats? When it comes to safety and keeping your business looking good, you don’t need to look much further than Waterhog Plus floor mats. These eco friendly mats are ideal for wet weather but actually offer enough benefits to make them a great all weather mat too. City Clean offers Waterhog floor mats as part of our selection of products. If you’d like assistance in determining if these mats could be right for your business, contact us to find out more. So what makes these mats unique? Take a look at the reasons outlined below. Multi Tasking Mats: Not only do these mats trap moisture and dirt brought in by people visiting or working in your place of business, but they can add to your marketing efforts too. Waterhog Plus mats can be customized to fit any size, come in many colours and can be branded with your logo. Safety: A top feature of Waterhog floor mats is their built-in water dam that will contain a high volume of water. This remarkable feature traps moisture upon first contact and scraps dirt away which makes it an important tool for your business when it comes to preventing accidents and keeping dirt away. In addition, the rubber backing that comes with these mats ensures that they will stay in place. Durability: With several layers protection that not only help the mats stay in place, but also do their job (that backing is composed of polypropylene fabric in addition to rubber), Waterhog Plus mats are durable which means they will last. 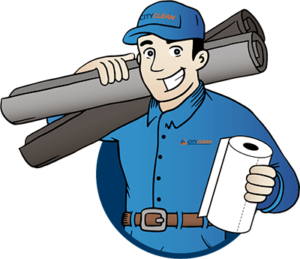 Easy to Clean and Store: While it may sound like these mats might be bulky and awkward because of all their clean and safety features, this is not the case. Waterhog floor mats can be cleaned by hosing them down and hanging them to dry, cleaning them with a vacuum and are also safe to be washed in commercial washers. They can also be rolled up easily, another great feature that makes them a top choice when it comes to all weather mats. Great for All Areas: Waterhog Plus mats come in more than one backing type which makes them ideal for all floor types – carpet, ceramic or hardwood. There is more to picking floor mats for your business than simply choosing something you think will work. 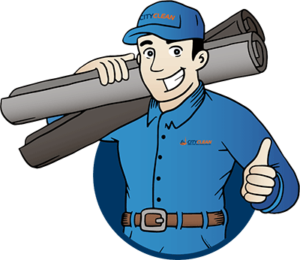 City Clean can offer you a professional and experienced opinion on choosing all weather mats that will help keep your customers and employees safe in addition to making your business look good. 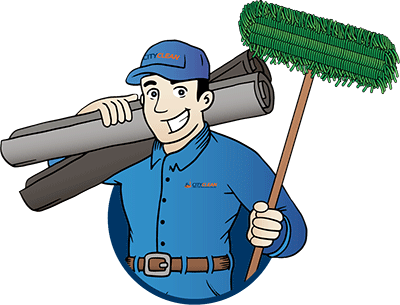 When you work with City Clean, our commitment is to provide our customers with the best service and products to help your business thrive. Contact us at 1 (877) 649-7747 or you can fill in the mat rental consultation request on our website.